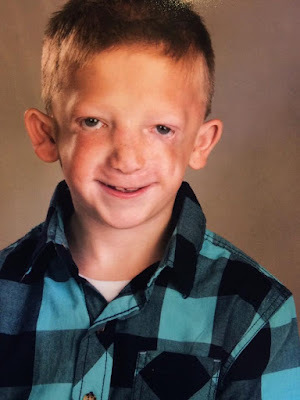 A heartbroken dad is speaking out against bullying after his 7-year-old son with special needs told him what was going on at school. Dan Bezzant of Idaho posted a now-viral plea on Facebook asking parents to educate their children. His son, Jackson, 7, was born with Treacher Collins syndrome. The condition affects the development of his bones and facial tissue. It has also left him deaf and has affected his eyesight, Inside Edition reports. He said kids at his son’s school bully him relentlessly because he’s different. Bezzant told Inside Edition he sat in his car and cried after his son told him about what other kids did to him at school. “He is called ugly and freak and monster on a daily basis by his peers at school. He talks about suicide…he’s not quite 8! He says he has no friends and everyone hates him. Kids throw rocks at him and push him shouting these horrific words,” Bezzant wrote. He asked parents to teach their kids about children with special needs. Bezzant’s post went viral, getting shared more than 33,000 times. He hopes attitudes change toward people who look different. “This shouldn’t be happening…to anyone,” wrote Bezzant.